According to the United States Census Bureau, the average American moves 11.7 times throughout their life. This statistic depends a lot on a person’s age, profession and financial status, but you can likely expect your loved ones to move around quite frequently. If you’re wracking your brain trying to think of good a housewarming gift, here are some tasteful and practical options for you. No matter how carefully a person packs up their belongings, glassware is often a casualty of moving. This is especially true of more fragile items such as champagne flutes, brandy snifters and martini glasses. If your loved ones enjoy a drink now and again or like to entertain, giving the gift of glassware in a classic style can save them the expense of replacing the glass repeatedly. Eating utensils are another home item that suffer with moving and the passage of time. Those who have children might notice their flatware tends to disappear or be destroyed more often, and young people moving into their first house may want to get rid of their plastic-handled, cheap flatware. It will be appreciated and can be added to as their needs change. Blankets for the bed are dependent on the size of the mattress, but a warm, cuddly throw can be appreciated by anyone. Choose one in a neutral shade if you aren’t sure about your loved one’s interior decor, and try not to choose a shade that will show pet hair if they own a dog or cat. Fleece is a good choice, as is cashmere if you are feeling generous. Avoid wool blends, as improper laundering can destroy them. Couples may appreciate matching throws for their favorite cuddling spot, too. If your loved one is moving from one cramped NYC apartment to another or is downsizing their home, buying them items that will take up room for years to come may not be the best idea. A selection of gourmet chocolates, a sampling of fine cheeses or a basket of coffees may be just the right gift. If you have a knack for making fudge or brownies, take some along to the housewarming. Choosing the right housewarming gift can be a struggle. 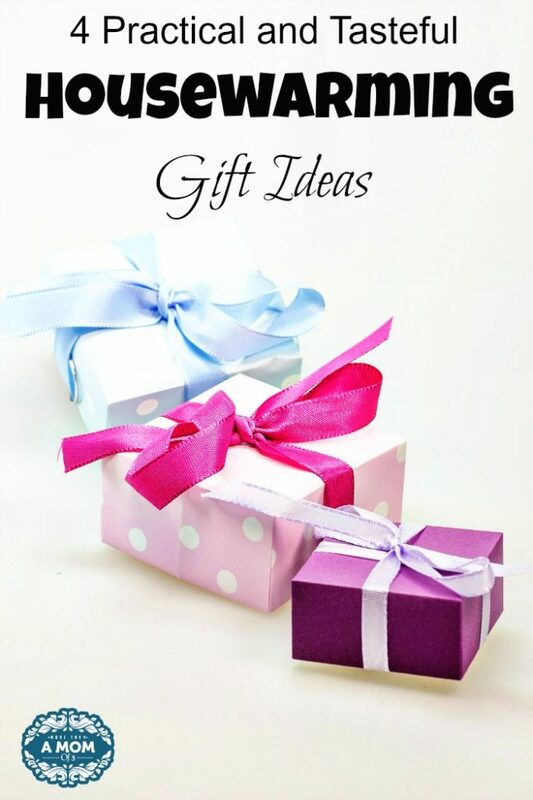 By taking these suggestions into your considerations, you can find a practical and tasteful housewarming gift for your loved one that will be used and appreciated. What is your favorite housewarming gift you have either received or given? This is a guest post by Anica. Anica is a professional content and copywriter who graduated from the University of San Francisco. She loves dogs, the ocean, and anything outdoor-related. She was raised in a big family, so she’s used to putting things to a vote. Also, cartwheels are her specialty. You can connect with Anica here. A warm thrown blanket is one of my favorite things to gift in a new home! You can never have too many! I like these ideas, I have a friend who just moved into a new home and is having a housewarming next month. I’m usually a gift card type person for a DIY store so they can work on home projects as needed. Great ideas – I love the last one, since it’s a good point that people in a cramped space may not have room for most of the typical housewarming items. As for me – does a gnome statue count as a housewarming gift? hahaha! These are great suggestions. I love getting the perfect housewarming gift. I love the idea of the wine glasses or the throw. The wine glasses say “Invite me over” while the throw says “Enjoy your new house”. You have some good ideas. /I’ve never received or given a housewarming gift. Unless you count to family and friends I already knew. Such great ideas! We got quite a few of these as gifts years ago and still use them! I also like the idea of giving eats too, with all that unpacking and settling in, it sure helps the homeowners! These are some great suggestions. We got an awesome cozy throw blanket as a housewarming gift when we moved into this house and I LOVE it!